Dr. Derek Vadnal graduated from Southern Illinois University School of Dental Medicine in 2004. He was part of a fast paced general dental practice in Manhattan, KS for 4 years while his wife, Jamie, attended Kansas State University obtaining her Veterinarian degree. He is excited to be back in the St Louis area with his own practice enhancing his skills and watching his practice grow. He and his team are dedicated to their patients delivering care in a gentle, comfortable caring manner. 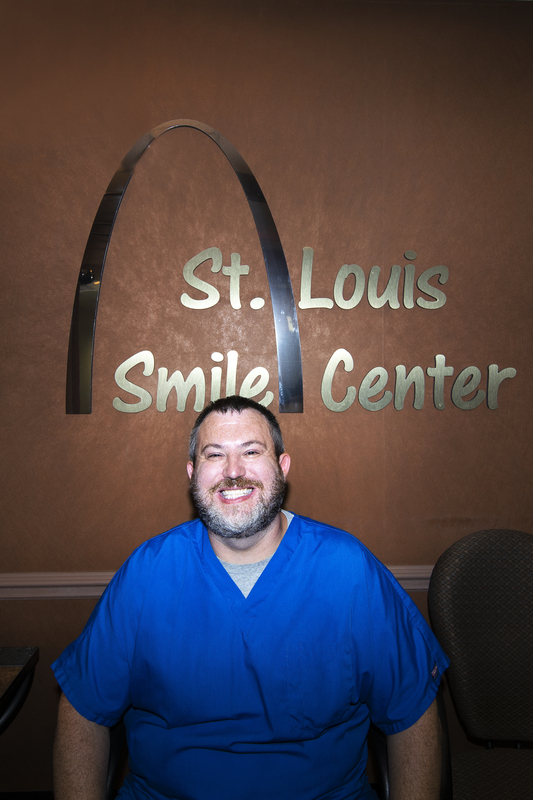 Dr. Vadnal has been very busy since obtaining the St Louis Smile Center getting certified in Missouri for Advanced Cardio Life Support (ACLS), CPR, conscious sedation, intravenous sedation monitoring, and anxiolysis dentistry. Dr. Vadnal is committed to being a continuous student to maintain dental excellence in his practice. Dr. Vadnal is a member of the Crown Council, a group of over 500 American dental teams whose purpose is to raise standards of dental care. Less than 1% of dentists have achieved this honor. Dr. Vadnal is also a member of the Missouri Dental Association, the American Dental Association, and the Greater St. Louis Dental Society. Dr. Vadnal and his wife Jamie live in O’Fallon, IL. Dr. Vadnal practices his skills of communication, patience, and caring while sharing his home not only with Jamie but a beautiful baby girl born in October 2013 and a son born in October 2016.. They also have a menagerie of cats, dogs and various small critters. He's an avid sports enthusiast for the Cardinals and Blues. His staff allows him to continue rooting for his first love, the Pittsburgh Steelers. We genuinely hope this site is helpful to you in learning more about our practice, dental conditions and treatments, dental recommendations, and more. You can learn more about St. Louis dentist Dr. Derek Vadnal by visiting his personal bio page or contacting our office.